12 Easy Glaze Recipes for Roasted Chicken | 12 Easy Glaze Recipes for Roasted Chicken – oh, that's tasty! 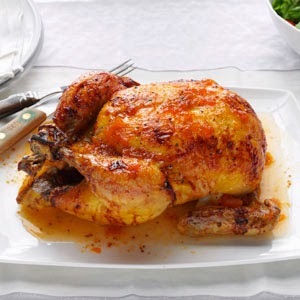 One of the easiest meals possible is to get a plain store-roasted chicken, then add your own simple sauces or glazes. Of course, you can start with a chicken you’ve roasted yourself, too. Why not just buy a pre-glazed one? 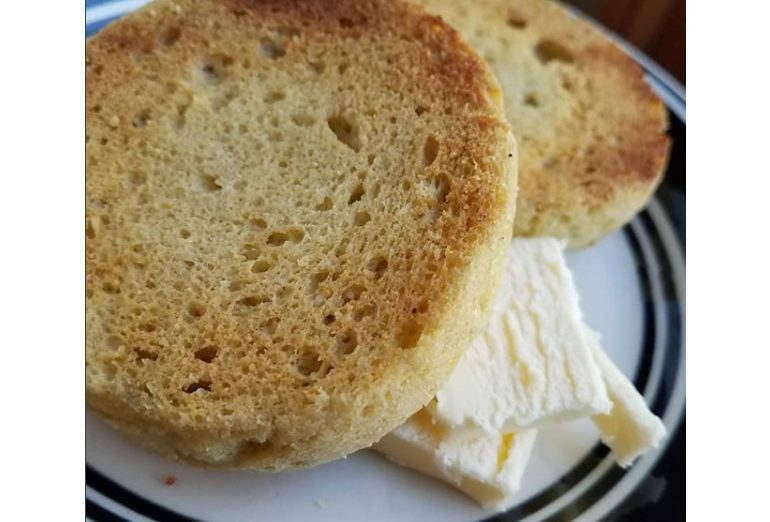 Making your own glaze ensures that there’s no corn syrup – high-fructose or otherwise – in the glaze, or other unwanted ingredients, be they soy, gluten, white sugar, high sodium, or MSG. Most of these have a high level of sugar, usually in the form of honey or maple syrup. So to keep them from burning, you’ll want to add the glaze right before serving or give it just a few minutes in the oven. If you’re on a sugar-restricted diet, you can cut back the sugar part of the equation. One suggestion: since a lot of these are sticky, you may want to cut the chicken up into serving pieces before glazing. But that’s optional. 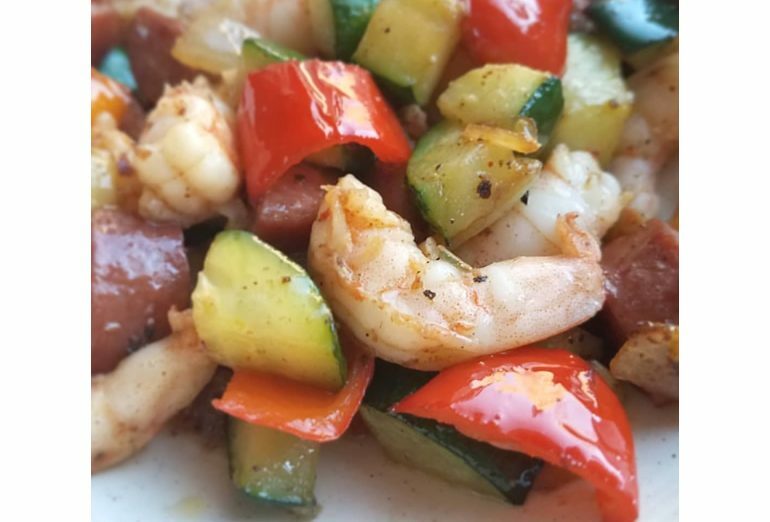 Here are a few simple recipes that you can whip up quickly and easily — or make the night before and have ready to go right when you get home! Many of them have just three ingredients. Honey sriracha lime glaze — Shown in the photo above, this is one I’ve made again and again. You can use on any chicken pieces. Experiment to find the right level of heat/sriracha for you. I use a quarter of the sriracha called for, and an extra dollop of honey. Chutney-glazed chicken — Chutney, lime juice, and curry powder. Maple black pepper glaze — Maple syrup, butter, and black pepper. Pretty simple! Honey-spiced glaze — Honey, olive oil, cinnamon, and paprika. Rated 5 stars. A fruit-and-wine glaze from Taste of Home — White wine or chicken broth, apricot preserves or quince jelly, and a bit of mustard. Rated 4 stars. Orange-rosemary glazed chicken — Orange marmalade, rosemary, and your choice of vinegar. Honey-lemon-soy glaze — The ingredients are — surprise! — honey, lemon juice, and soy. 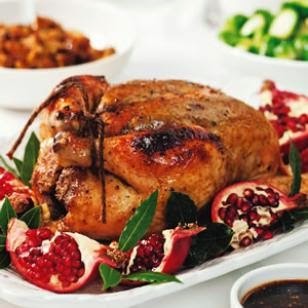 Pomegranate glaze — Uses pomegranate molasses (with instructions to make your own, if you wish), honey and black pepper. Barbeque, honey and soy — Another easy, 4-star recipe, from Taste of Home. 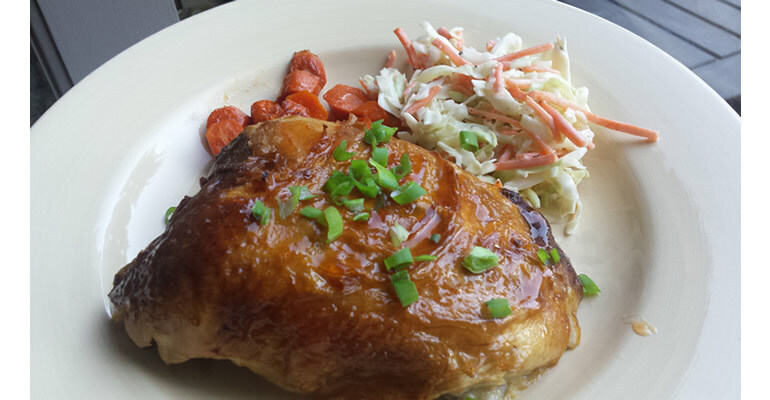 Red-hot honey glaze — A buffalo chicken style sauce from Bobby Flay. 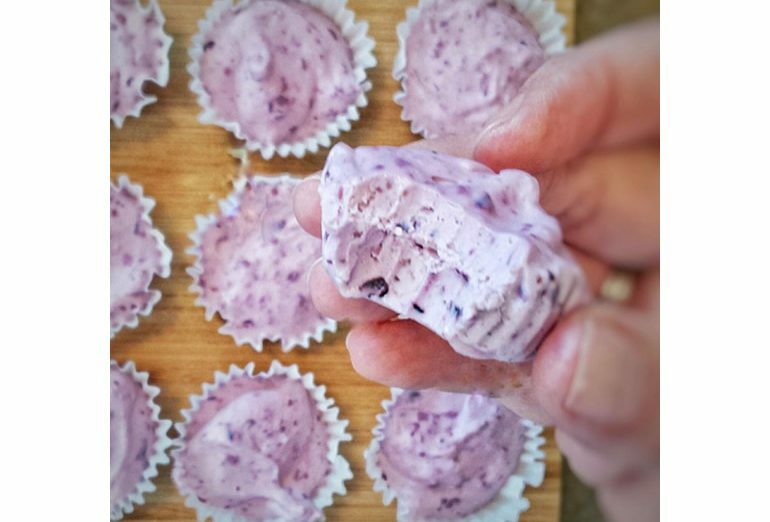 Includes a recipe for a blue cheese dipping sauce. Honey-mustard glaze — You could skip the curry if you don’t like curry or don’t have any.